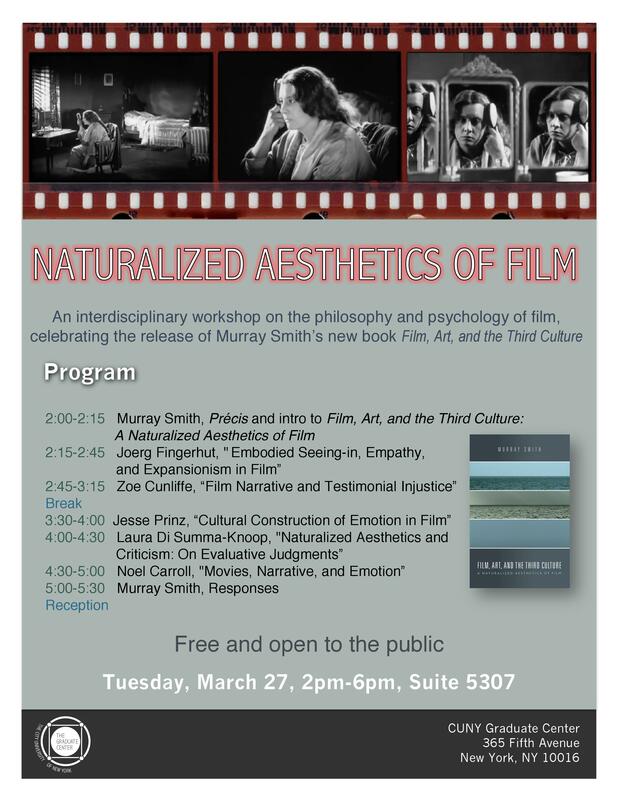 Two CUNY Philosophy professors (Noël Carroll and Jesse Prinz) will present research alongside PhD student Zoe Cunliffe and alumna Laura Di Summa-Knoop in the upcoming Workshop on “Naturalized Aesthetics of Film”, taking place March 27th from 2-6pm in GC Room 5307. Additional presenters include Joerg Fingerhut (postdoc, Berlin School of Mind and Brain) and Murray Smith (University of Kent). 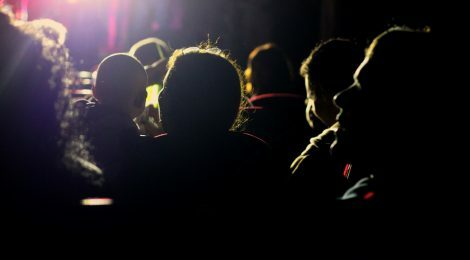 The workshop celebrates Smith’s new monograph Film, Art, and the Third Culture, which defends an interdisciplinary approach to film studies. See the poster below for additional details (including the workshop schedule). Click here to download it as a PDF.